A report surfaced yesterday about the hot new Netflix Series - Marvel's Jessica Jones. 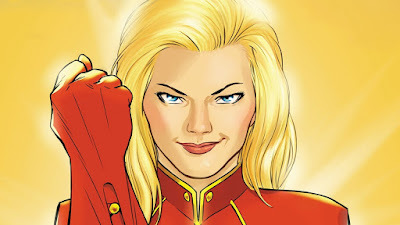 The showrunner for the Krysten Ritter starrer revealed she was planning to include Carol Danvers - AKA Captain Marvel. Plans changed, however, and Captain Marvel wound up getting a solo movie, which opens in 2019. Flickering Myth has the full story below.